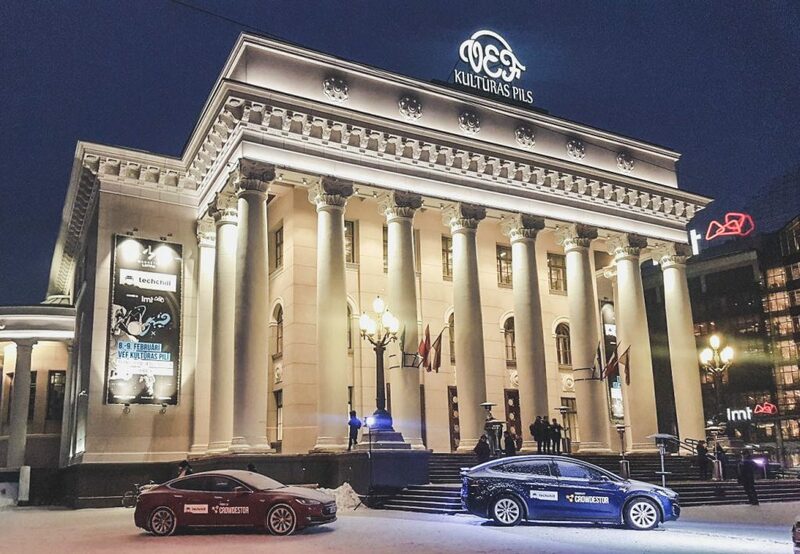 An operational transportation company is planning to introduce an innovative environmentally friendly taxi services project named “Tesla Taxi Park Riga” in Latvia, operating under Taxify brand, with outlook to entrench in neighboring markets of Estonia and Lithuania alike. In phase 1 it is planned to purchase, through Financial Lease, 3 units of low mileage Tesla model S with total investment of EUR 180 000,00. Current investment opportunity offers CROWDESTOR investors to make a loan with 17% annual interest rate which is paid every month, secured by personal guarantee of the Borrowers shareholder & CEO and guarantee of the Borrower. Minimum target to be raised in CROWDESTOR platform is EUR 45 000,00 and the maximum target is EUR 80 000,00. Minimum target – EUR 45 000,00. Maximum target – EUR 80 000,00. Loan term – 12 months. Interest rate – 17% per annum. Interest payments: paid monthly – for previous month interest payment is paid by 5th date of the following month. Early repayment: In case of early repayment of the Loan, the Borrower pays 20% from scheduled Interest Payments. 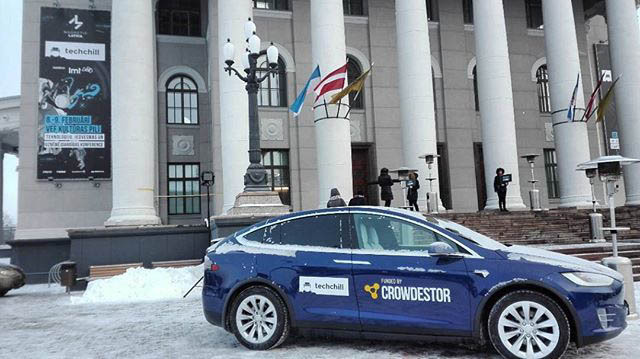 An operational transportation company is planning to introduce an innovative environmentally friendly taxi services project named “Tesla Taxi Park Riga” in Latvia, operating under Taxify brand, with outlook to entrench in neighboring markets of Estonia and Lithuania alike. In phase 1 it is planned to purchase, through Financial Lease, 3 units of low mileage Tesla model S.
Loan from CROWDESTOR investors – EUR 45 000,00 to EUR 80 000,00. By the end of 2018 the Borrower is planning to carry out Phase 2 and expand the fleet reaching total amount of Teslas to 8. 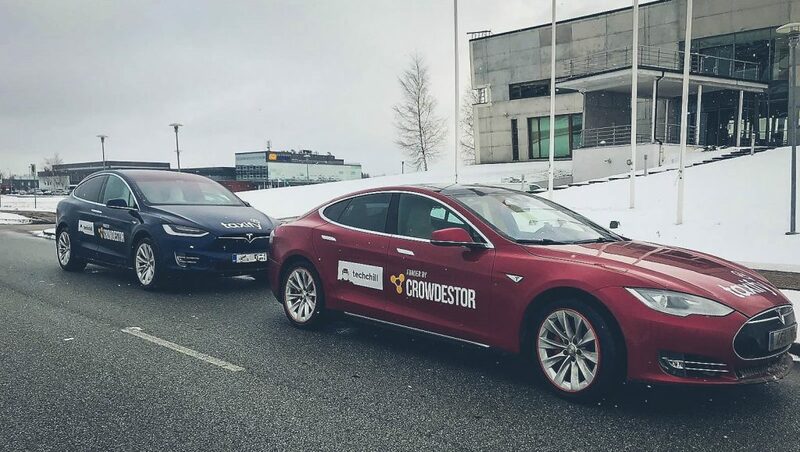 Borrower is planning to have the biggest Tesla Taxi park in Baltics by end of 2019. Borrower is using Taxify platform, which is a leading transportation company in Baltics, and revenues are generated from lease of vehicles to drivers. Taxify is one of the fastest growing companies in Europe and Africa with over 3 million customers in more than 20 countries. Taxify was founded in Estonia in 2013 as a market-leading platform connecting riders to private drivers or licensed taxis. Borrower does not operate under its own brand transportation company. The biggest operators in Latvia are – Taxify, Baltic Taxi, Panda Taxi and Rīgas Taksometru parks. The Borrower is SIA “Green CAB”, a company registered in the Republic of Latvia with registration number 40203055041, with paid share capital of EUR 58 000,00. It is an existing, fast growing transportation company offering high quality and reliable taxi services in Riga and provides logistics services for the transportation of cargo by road. The company was established in March 2017, with first 2 taxi units, including a Nissan Leaf which is 100% electric car. Taxi licence was received in 26 April, 2017. By the end of 2017 the taxi park has been increased by 8 more units reaching total number of 10 units. In January 2018, in an auction the Borrower acquired numerous of transportation assets and stepped in a new business segment – provides logistics services for the transportation of cargo by road. Licence was received in 31 January, 2018. The Borrower has total assets of EUR 518 631,00 and liabilities of EUR 387 550,00. Full list of assets owned and operated can be seen in file attached. Study of Taxi industry by Competition Council of Republic of Latvia.